When a middle-aged clinical psychologist begins working with a client describing bizarre mystical experiences, his own world changes radically. John Robinson has given us a rich offering of spiritual wisdom in this book. He aptly delves into psychology, spirituality, metaphysics, theology/philosophy, science vs. religion, current evolutionary thinking, and conscious aging. He artfully leads the reader to the possibility of divine union and highlights the importance of spiritual mentors to aid us in our journeys to that end. John's background as a therapist, minister, and wise elder who has done his own searching adds great depth and believability to his ideas. Dr. Carol Scott-Kassner: Spiritual director, Commissioned minister of the UCC, and Past President of Sage-ing International. 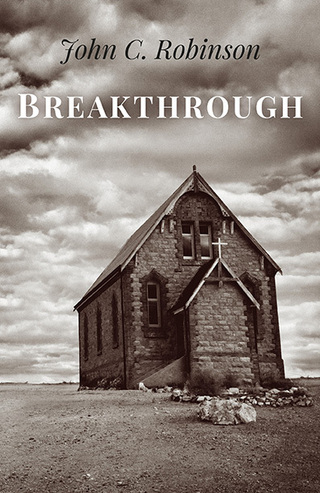 "Breakthrough" is a thought-provoking work of spiritual fiction. This satisfying story is of particular interest and importance to aging Boomers who will resonate with the author's central message: that life, with all it's twists and turns, can be lived as mystical experience and that the longevity revolution we are experiencing holds the potential to change the course of human evolution. Rivets your attention and delivers the goods. A must read! Carol Orsborn, editor-in-chief of Fierce with Age, the Digest of Boomer Wisdom, Inspiration & Spirituality. She is a veteran journalist and author of 21 books written for and about Baby Boomers and blogs regularly for Huffington Post, NPR’s Next Avenue and others. I just finished reading Breakthrough. It’s about what happens when a psychologist has a mystical epiphany and then faces the difficulties of trying to integrate this experience with a conventional life. This is a tough topic to write about and Robinson does it well. The plot is terrific and the descriptions of mystical experience ring true. The descriptions of the conflict between religion and mysticism are realistic and pose many questions for reflection. This book will spur much book-club discussion. Robert C. Atchley, author of Spirituality and Aging. Not since reading Illusions half a century ago have I been so moved by the enlightenment experience. Well written with engaging characters, I related to their inner and outer struggles as they encountered mysticism. Placed within the constraints of fundamentalist Christianity and traditional psychotherapy, interwoven with family and personal dynamics, the main character, Paul tries to understand the bigger questions of life. Without pat answers, the journey of unfoldment moves with ebbs and flows as Paul cycles through the different stages of his life. RetireWOW.com, Creator of the Retirement Life/Map.